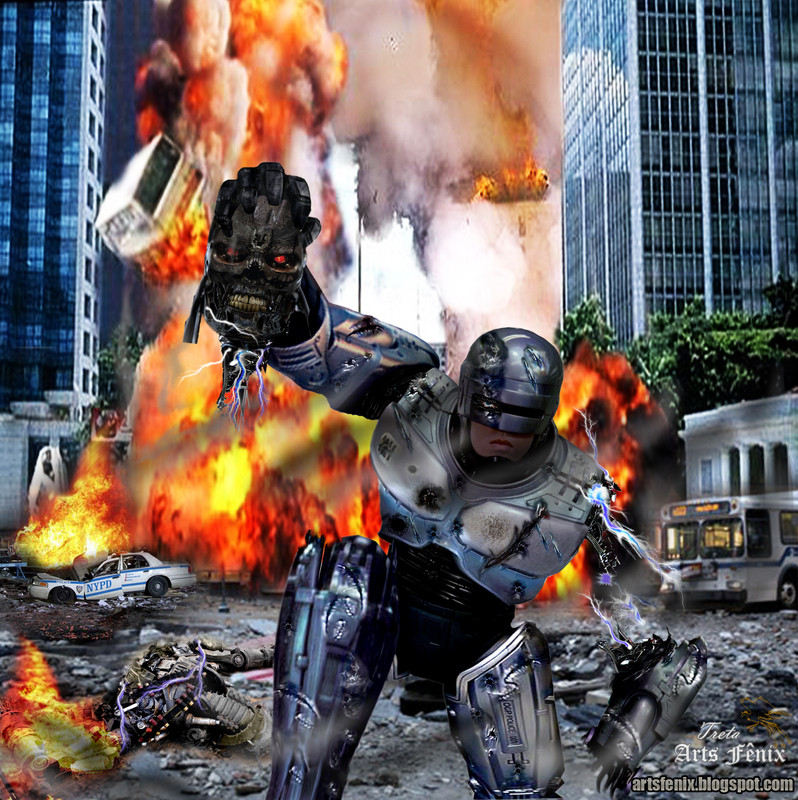 ROBOCOP VS TERMINADOR. . HD Wallpaper and background images in the Robocop club tagged: robocop terminador exterminador do futuro artsfenix cop robocop 2 2010. This Robocop photo contains api, inferno, kebakaran, lidah-lidah api, api, and kebakaran. There might also be kuali, skrin asap, tabir, and smokescreen.